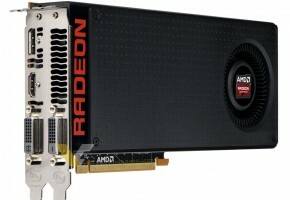 HP has just announced that Radeon R9 380-powered desktops will be available late June. Company revealed in press release that new ‘premium tower PCs’ from HP ENVY Tower series will either be equipped with GeForce GTX 980 or Radeon R9 380 graphics cards depending on the consumer choice. What it means is that both cards are possibly going to offer similar performance. What we don’t know are the specifications of this card. One would assume R9 380(X) are simply rebranded R9 290(X) series, but so far there is no evidence behind this rumors, other than leaked XFX R9 380 picture, which does look very much alike R9 290X (at least judging from the PCB). 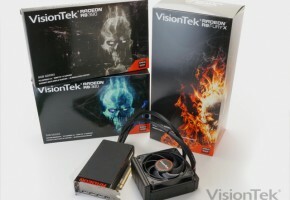 HP also revealed new mobile Radeon graphics cards. If you’re confused why are these called A300 rather than M300, then let me explain that A300 series are simply based on PCI-Express, while most M300 cards are designed in MXM format. Both cards are not exactly the best representatives of high-end gaming experience, but at least A360 has 4GB memory on board. In other news, Fiji was found as one of the supported GPUs in CodeXL 1.7. Actually this picture is interesting for three reasons. One: it means Fiji is close, two: it revealed the IP level of Fiji Silicon (it’s the same architecture as Tonga and Carrizo), and lastly: Fiji has Device ID of 7300, which as far as I know was already occupied by Bermuda. So technically Fiji is Bermuda. PALO ALTO, CA–(Marketwired – May 4, 2015) – HP (NYSE: HPQ) today announced a new family of all-in-one desktop and tower PCs designed to fit beautifully in the home for back to school. The new desktop lineup offers customers power and flexibility to scale for next-level productivity and entertainment. The HP Pavilion All-in-One PCs offer customers power in a sleek design with a pedestal floating display to make it a focal point in the home. The HP Pavilion Tower brings a splash of color to traditionally black tower designs with a wide range of configuration options. The HP ENVY Tower gives content creators premium power in a brushed metal chassis featuring a signature vertical design now spanning the new tower portfolio. The HP ENVY Phoenix Tower gives gamers speed and power with discrete graphics options for performance to take down the competition. The HP Spectre Studio Display presents customers with a cinematic experience with advanced Ultra High Definition (UDH) 4k resolution. For customers who want a desktop PC as a focal point in the home to create, share and be entertained, the HP Pavilion All-in-One PCs merge design with functionality offering the right features for immersive and powerful experiences. The HP Pavilion All-in-One PCs are thin and look beautiful from every angle with an edge-to-edge full high-definition (HD) flush glass display. (1) White iridescent color with a white dot pattern on the back allows the HP Pavilion All-in-One PC to fit in any kitchen, living room or home office. The HP Pavilion All-in-One PCs have HDMI Out for customers to connect to a second display for multi-tasking or TV for maximum entertainment. HP Pavilion All-in-One PCs come with and two USB 3.0 ports and a 3-in-1 media card reader located on the display chin for easy access. On the back, four USB 2.0 ports are placed with the HDMI and LAN for easy routing of cables to keep the workspace clean and organized. For power and performance, customers have the choice of fourth generation Intel® Celeron® processors, Intel® Core™ i3 through i7 processors,(2) next generation AMD A10 and A8 processors or AMD next generation mainstream A4 through A8 processors. 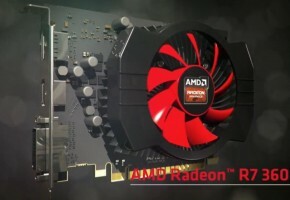 While integrate graphics are standard, customers have the option to choose AMD Radeon™ R7 A330 or A360 discrete graphics for video editing or gaming. With up to 3TB of storage options, customers have the space to store all of their precious family photos and videos, movies and music. For immersive experiences to enjoy movies or for families to gather around to share videos and photos, the 21.5-, 23- and 27-inch diagonal IPS full HD displays have a new adjustable hinge on the pedestal floating display to bring it closer to eye level for a comfortable viewing experience. The HP Pavilion All-in-One PCs feature B&O Play audio to give customers bold, crisp and accurate sound through its dual speakers. For the customer looking for the latest in power to replace their older tower without compromise, the HP Pavilion Tower offers flexible configuration choices for everyday productivity and entertainment. Taking cues from HP’s colorful notebooks, the HP Pavilion Tower offers a distinctive new look with a vertical orientated design coming in Blizzard White, Natural Silver, Nobel Blue and Sunset Red. (3) The HP Pavilion Tower supports fourth generation Intel® Celeron® processors, Intel® Core™ i3 through i7 processors(2) and next generation AMD A-Series A4 through A10 processors. 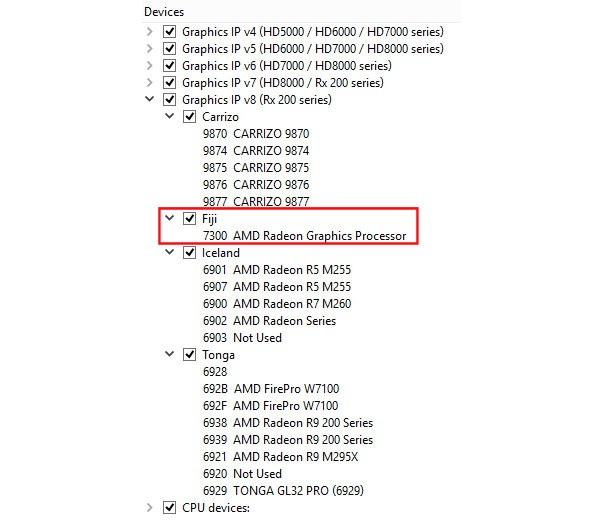 Customers have graphics options from integrated graphics up to NVIDIA GTX 745 for better performance. For storing videos and photos the HP Pavilion Tower PC offers customers a selection to choose up to 3TB hard disk drive (HDD). With dual-display support, the HP Pavilion Tower includes at least two USB 2.0 ports, up to four USB 3.0 ports, HDMI, DVI (Intel), VGA (AMD) and 7-in-1 media card reader. The new vertical design allows customers to easily access ports placed in the front of device. The HP Pavilion Tower includes B&O Play Audio Control for customers to customize their listening experience for movies, music and voice. For customers who want powerful hardware choices in a premium design, the HP ENVY and HP ENVY Phoenix Towers have a brushed metal chassis with a new vertical design offering customers a high-end look and feel. Powerful and stylish, the HP ENVY Tower is designed for content creators who need high-performance processors and strong graphics capabilities for editing videos and photos. 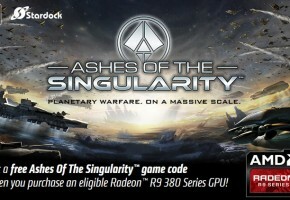 For performance, customers have the choice of up to NVIDIA GTX 980 or AMD Radeon™ R9 380 discrete graphics with support for fourth generation Intel® Core™ i5 and i7 processors(2) or next generation AMD A-Series A8 through FX processors. HP is offering die hard gamers Intel® K-series processors to enable overclocking with the HP ENVY Phoenix Tower Overclocking Control to boost gaming performance. 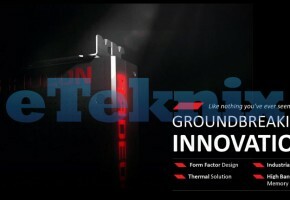 (4) The optional advanced thermal system using Closed Loop Liquid Cooling protects sensitive components while eliminating the need for throttling and keeps the HP ENVY Phoenix Tower cool and quiet. 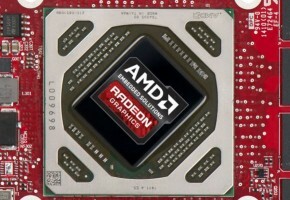 The NVIDIA GeForce Experience and AMD Gaming Evolved software are included for seamless gaming. Connect to a display, download a game and the clients optimize customer settings for the most immersive gaming experience. The HP ENVY and HP ENVY Phoenix Towers give customers a selection to choose up to 3TB HDD with the option to add more speed with up to a 512GB SSD for storing games, videos and photos. (5) Both premium towers offer a RAID storage option for customers to mirror content to a second hard drive and include Bang & Olufsen Audio Control for a customizable audio experience. HP ENVY and HP ENVY Phoenix Towers includes at least two USB 2.0 ports, up to four USB 3.0 ports, HDMI, DVI (Intel), VGA (AMD) and 7-in-1 media card reader. Each tower also comes with dual monitor support and wireless keyboard and mouse. To complement the HP desktop PC portfolio, the HP Spectre Studio Display gives customers a fully immersive experience. Have two spreadsheets open side-by-side or watch a movie while checking social media updates, customers will have a premium experience on the 32 inch diagonal UHD 4K resolution (3840 x 2160) display. (6) With a 178 degree ultra-wide viewing angle, customers get a consistent color and image clarity at any angle. To ensure lower resolution content still looks crisp and vibrant, the display is optimized to up-scale HD, Full HD and Quad HD. The visually stunning HP Spectre Studio Display offers customers great audio with 6-watt speakers firing from dual front speakers with two rear passive radiators to enhance the bass. To seamlessly connect to any device, the HP Spectre Studio Display comes with HDMI 2.0, HDMI 1.4 with MHL,(7) Display Port and a USB port. For versatile viewing experiences, multi-source picture-in-picture (PiP) and picture-by-picture (PbP) technology allows customers to easily view two separate media inputs simultaneously. The 21.5 and 23 inch HP Pavilion All-in-One PCs are expected to be available on June 28, 2015 in the United States at www.hpshopping.com and select retailers starting at $649.99 and $699.99 respectively. The HP Pavilion, HP ENVY and HP ENVY Phoenix Towers are expected to be available in the United States on June 10, 2015 at www.hpshopping.com. With a starting price at $699.99 is the HP ENVY Tower and $899.99 is the HP ENVY Phoenix Tower. HP Pavilion Desktop Tower will also be available in select retailers on June 26, 2015 with a starting price at $449.99. The HP Spectre Studio Display is expected to be available in the United States on May 24, 2015 at www.hpshopping.com with a starting price at $999.99.